As a parent and teacher of preschoolers, I'm always looking for free toddler games and toddlers activities. These fun games for kids are perfect for 1, 2, and 3-year-olds. The toddler years are exciting and fast-paced as babies become fully mobile and are able to get around independently. These years mark a tremendous time of change for them in so many ways. They develop greater agility and demonstrate more coordination and control of their bodies. They're excited about waking up everyday and they’re always ready to play, laugh, and be active. However, their excitement gives way to frustration at times as they struggle to perform tasks their bodies aren't quite ready for. 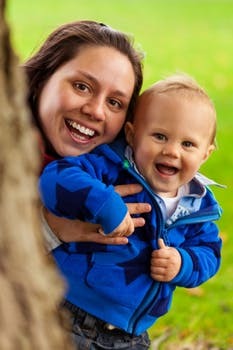 Toddlers love interaction with you and others, and they are able to begin communicating with you through finger pointing and a limited vocabulary. They start imitating you and love to pretend and play make-believe. They begin to acquire more advanced skills like sorting and sequencing, and they start to know their colors and shapes. By the time they’re 3 years old, they are able to understand more complex sentences and instructions, they have a sense of time, and they start to understand cause and effect. They also have a longer attention span. The toddlers activities in this section give your little ones a chance to explore their world with the skills they’ve acquired and challenge them to try new experiences. Keep in mind that though these free toddler games are targeted at children 1-3 years old, all kids go through the stages of child development at their own unique pace. Is your little one blind or visually impaired? 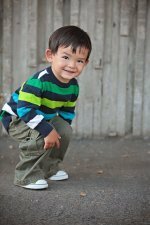 WonderBaby.com has lots of ideas for fun activities for toddlers! *These games were adapted from a wonderful book by Jackie Silberg, Games to Play with Babies, available on Amazon. Our collection of kids sports activities, including activities for toddlers will equip you with great new games to entertain kids of all ages and groups of all sizes! Within this database you can find games for partners, small groups, party ideas, and holiday activities. Just search through the games until you find one that fits your playing area and needs. Then, go have fun with your kids!